Republican President Donald Trump, joined by Alveda King and Isaac Newton Farris Jr. aboard Air Force One, signed H.R. 267, “Martin Luther King, Jr. National Historical Park Act. The bill was sponsored by Rep. John Lewis (D-GA5) a fierce critic of President Trump. Rep. Lewis recently boycotted the opening of the Mississippi Civil Rights Museum because the President was slated to speak at the opening. The bill upgrades the status from historical site to national historical park. The site included Dr. King’s birthplace, burial site, and the church of his baptism. The bill further expands the boundaries to include the Prince Hall Masonic Temple. The bill had bi-partisan support and was not considered controversial. This historic move sets another mark in history by a Republican President. President Abraham Lincoln, the first Republican President, led a nation through a civil war, the bloodiest in our nation’s history, over a key issue of slavery. 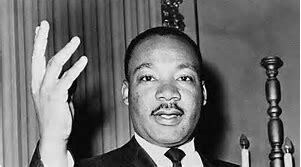 After several administrations declined to do so, Republican President Ronald Reagan signed into law the third Monday of January as a National Holiday to honor Dr. Martin Luther King, Jr. Several democrat presidents prior had refused to support or sign such a bill. President Trump, following in the footsteps of Presidents Lincoln and Reagan, once more signed a historic bill honoring Dr. King’s legacy and the fight against oppression of black citizens. President Trump also signed the African American Civil Rights Network Act of 2017 that requires the National Park Service to link historic sites within public lands and private property that have verifiable Civil Rights history between 1939 to 1968. 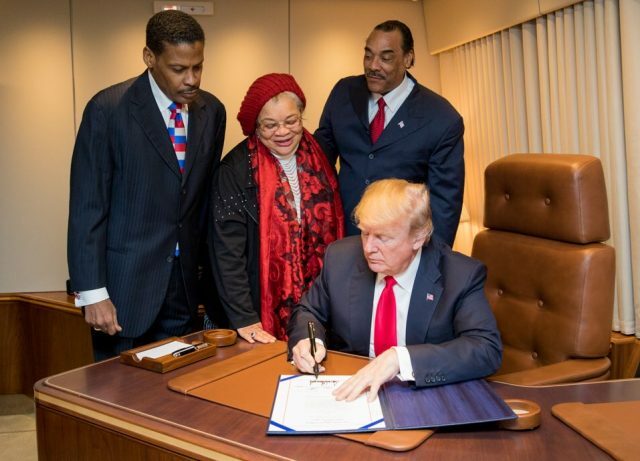 President Trump also signed the 400 Years of African-American History Commission Act The act commemorates the anniversary of the arrival of the first Africans in the English colonies in Virginia in 1619. These three bills signed by President Trump signal support for equality of all Americans and the unity of such citizens to make American great again.